The Singinbelt System carries a full Product-Life Warranty. We guarantee the construction quality and material performance of our product. If, for some reason, your product is deemed faulty, we will repair and/or replace the item, free of charge. 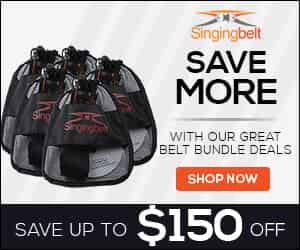 The Singingbelt is manufactured by Levy’s, well known in the music industry for their quality guitar straps. We are fortunate to have found such a relevant and responsive manufacturing partner. Levy’s is also a leading manufacturer of consumer leather and nylon goods with facilities in Winnipeg,Manitoba and Antigonish, Nova Scotia.